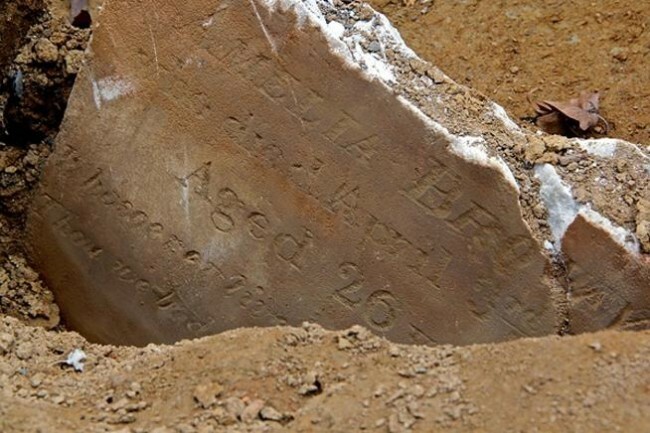 Twenty-year-old Elizabeth Brown died this date, June 12th, in 1846 and was buried at Bethel Burying Ground. Twenty-year-old Elizabeth Brown died this date, June 12th, in 1846 of Tuberculosis and was buried at Bethel Burying Ground. She died at the house of her parents, Marcus (66 y/o) and Louisa Brown (59 y/o). She is also survived by her brothers Lewis (23 y/o) and John (18 y/o) who also lived with their parents. Marcus was a retired shoemaker who passed the business on to his sons who ran the business from their home in the 900 block of Bonsall Street (now Rodman) near the intersection of 9th and South Streets in the south area of the city of Philadelphia. Louisa Brown worked as a domestic as a younger woman according to Federal and local census records. In the Fall of 1860, Frederick Douglass visited Philadelphia and was taken on a tour of the many neighborhoods populated by African Americans. He visited the specific block that the Browns had lived on in 1846 and wrote this in an article for his October 1860 edition of his newspaper the “Douglass’ Monthly.” The city directory for 1860 does not list the Browns living on Rodman Street at the time of the article. We passed with our guide up South Street to Ninth, and thence to Rodman street— Several fine dwellings. of three and four stories, fronted with white marble, and having doors of carved stone were exhibited upon those avenues. Rodman Street runs parallel with South Street, one-half square above it. It is peopled almost entirely by colored families.— We gazed with curiosity at its rows of tall, beautiful houses, and saw, with some interest, the clean pavements and street. In some places, fine ornamental trees stood upon the sidewalks, and in the doorways, the families of colored men are seated. By the imperfect moonlight, they seemed to be neatly dressed. There was no loud laughing or talking; in fact, it seemed to us that we had not remarked for the early evening such general decorum in any street in the city. These photographs were taken in 1964 of the block that the Brown family lived on at the time of young Elizabeth’s death. The first photo is of 904 Rodman and the second is of 912 Rodman. The Browns lived at 906 according to the 1846 city directory. By 1964 it appears that address had been demolished.